Low load threshold, versatile and compact: the Citroën Nemo has an impressive load capacity, very suitable for transformation of the cargo area into a mobile office. This is why a large number of professionals choose it for their businesses, first lining the bodywork to ensure its protection against wear and rust. 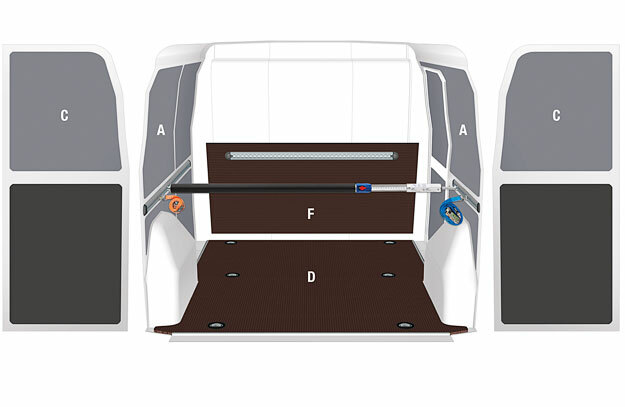 For this purpose, Store Van offers “tailor-made” solutions that extend the lifetime of the van’s original sheet steel: flooring and side panelling for Citroën Nemo commercial vehicles. The linings, in phenol resin-bonded plywood (12 mm) and polypropylene honeycomb panels respectively, prevent shifting of the equipment transported, or accidental overturning of goods, from scraping off the paint, causing infiltrations and rust. This guarantees your investment over time.